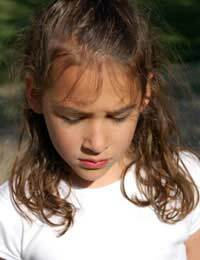 Bullying is a stressful and disturbing act for a child to have to endure, and parents who discover that their child is being bullied will want to take rapid and effective steps to stamp it out. If bullying occurs on school property - that's not just in the classroom or during the school day, but involving school pupils travelling to and from school, or during playtime in the school playground, parents should first try to get the school to put an end to the bullying that is affecting their child. Schools have a duty to have an anti-bullying policy in place and head teachers are supposed to have this policy written down to not only prevent bullying from occurring, but also to have a set of procedures in place in case bullying does occur. What if the School Can't - Or Won't - Help? The first step to take to stop a bully from making your child unhappy is to tell the school, clearly and precisely, about every incident of bullying that has taken place, from when and where it happened to who was involved and what the consequences were. Keep a copy of all these letters you have written. But if head teachers or teachers are unable - or do not try - to stop the problem, you may want to complain further or act more seriously. The next step is to write to your Local Education Authority (LEA) to complain about the lack of help you have to stop bullying within the school. The letter format laid out below shows a good way to approach an LEA about a school's perceived lack of help at stamping down on bullying. I am the parent of Karen Lindle, in form 7b at The School House school in Townville. Unfortunately she has experienced horrific incidents of bullying for the past three months at school, and the school has been exceptionally poor at helping to alleviate her mistreatment in the hands of fellow pupils. I enclose detailed copies of letters, emails and phone calls that I have had with the school's head teacher and Karen's form tutor at the school, where Karen continues to be bullied by a group of five girls, spearheaded by one Leslie Snide. You will find out more details about these incidents in the enclosed letters. I have repeatedly asked the school about the measures that they intend to introduce to both deal with this bullying and to stop bullying from occurring at the school. Despite my awareness that an anti-bullying policy should be in place at the school, the responses that I have been receiving are unsatisfactory: the bullying has not stopped and the schools is taking insufficient measures to make it stop. I am writing to you to request that you begin a formal investigation into my complaint and write back to me with a report of your findings. You will see from Karen's records, which I have requested copies of from the school, that despite my letters being responded to by teachers, the acts of bullying that I flagged up have not been recorded. I would also appreciate it if you could tell me how many other complaints of bullying that you have received about this school in the last year. I am asking for your help to ensure Karen's safety at school.You can contact me, Jane, on 0151 2343 9049 or 0775822342, or email me at jane@parents.com, or at the address above.